BC Electoral Reform Referendum – OMG! It’s going on longer?? The deadline for getting ballots in has been extended to 4:30 p.m., December 7, 2018, due to rotating mail strikes. Here is the link. if they applied for a voting package from Elections BC before midnight on November 23 and they haven’t received it. To request a replacement package, call 1-800-661-8683 or visit a Referendum Service Office or Service BC Centre (locations are listed at elections.bc.ca/rso). Excerpt: “We’re facing, right now, global warming,” said [Father] Brandt. And every tree, decreases global warming, takes out of the atmosphere certain pollutants that create global warming. So, that’s a value to everyone, to have a number of trees standing, and plants they can come and see, look at birds and animals.” Read more. 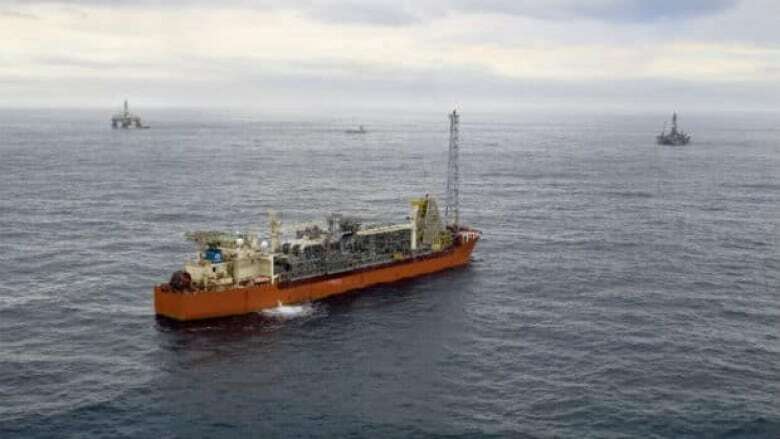 The $18 billion project for the West coast of Vancouver Island submits project description to environmental assessment agencies. Read more. Nathan Cullen sponsored this petition from “members of Indigenous Nations, residents of British Columbia and supporting citizens of Canada” called “upon the House of Commons to enact a legislated ban on oil tankers in coastal waters including Hecate Strait, Dixon Entrance and Queen Charlotte Sound.” This petition received 12,082 signatures, of which 7,770 were from BC. The petition was presented on October 5, 2018, and the Government has now tabled a response (Sessional Paper No. 8545-421-28). The response is, of course, more of the same double-speak that we hear from Justin Trudeau and Catherine McKenna all the time: “The Government believes that a clean environment and a strong economy go hand in hand and that the protection of Canada’s waters and marine ecosystems is of utmost importance.” The response references Bill C-48, which just received Second Reading on November 8, 2018. This proposed legislation “also takes a precautionary approach that targets crude oil or persistent oil products that are likely to remain longest in the environment if spilled.” However, Bill C-48 only covers “ports or marine installations located along British Columbia’s north coast from the northern tip of Vancouver Island to the Alaska border.” Of interest, on the Bill’s website, you can read the speeches/debate in Parliament on the Bill, and you can see the Committee meeting notes as well. Note that these are not current. In the case of Bill C-48, the most recent is from May 2018, when the Bill was debated in the House. Last week we had links to stories about glyphosate. Here’s one more, though in a different context. Read more. SumOfUs is calling on Health Canada to re-open the registration of glyphosate now, and investigate the decision to renew this registration. Sign the petition here. This story from The Sealives Initiative profiles Terri-Lynn Williams-Davidson. The National Observer takes a dive into the plan. Read more. “Nearly 180 scientists say impending legislation leaves the task of collecting evidence for major project reviews to proponents — without adequate independence, transparency or scientific rigour… Bill 51, the Environmental Assessment Act, is being studied by a Committee of the Whole House and could be passed as early as this week. 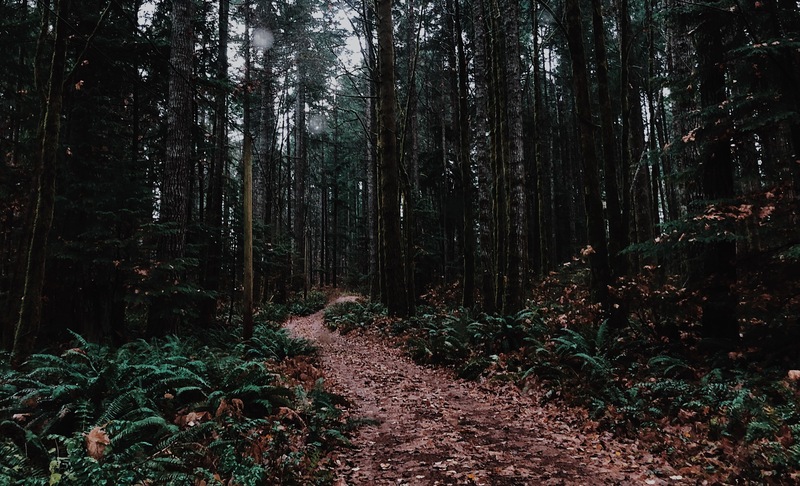 One of the main deficiencies of the legislation, according to the scientists, is that it still allows project proponents to oversee, collect and present the vast majority of evidence for environmental assessments.” Read more. On November 17, 2018, the Times-Colonist ran this letter with the above title. You are encouraged to read the whole letter because it is so full of disinformation and misinformation as to be laughable if that wasn’t the direction so much of our political discourse is heading in these days. However, the part that struck Megan Ardyche, the Must Reads editor/curator, as funny was this section where the writer hopes that, “Premier John Horgan, B.C. Green Leader Andrew Weaver and federal Green Leader Elizabeth May have a plan for our salvation other than dispensing wildly inaccurate rhetoric to their adoring gaggle of snowflakes, millennials and generic dreamers who cling to the theory it is possible to convert fairy sweat, angel breath, moonbeams and rainbows into usable fuel. One solution would be for someone to invent a carburetor that could compress ignorance and nonsense into combustible vapour.” Megan felt compelled to pen a response to this, which you can read here. Ellen Gabriel, the voice of the Mohawk people in Kanesatake, reflects on the crisis for As It Happens’ 50th. Read more. Who are Canada’s most historically significant women? “When it comes to women’s history in this country, most Canadians could use a refresher, according to a recent poll conducted by Historica Canada about the history of women in Canada. Media outlets like the Globe and Mail and Huffington Post picked up its findings and ran stories about how Canadians need to be more aware of their country’s historically significant women... By narrowly choosing the type of women to cover through history, we believe media outlets like the Globe — intentionally or not — suggest that these white 20th-century women were Canada’s only historically significant women.” Read more. Read this article and listen to the host of CBC’s Power and Politics, Vassy Kapelos, as she speaks with reporter Jorge Barrera about the Liberal government’s decision to delay policy changes that affect indigenous land claims. After interviewing numerous First Nations about this issue, the Liberals produced a discussion paper in September for indigenous leaders and bands to review. What stood out to those reviewing the document is that it didn’t really address that indigenous people should be leading the revision of lands claims processes, which must be less encumbered by red tape and less expensive than the ones currently enshrined in the Indian Act. “Two Canadian advocacy groups are demanding that the Canada Pension Plan divest $8 million in two U.S. companies managing migrant detention centres.…Social-justice organization Leadnow in Vancouver and Toronto-based SumOfUs, a group with the goal of corporate accountability, met with members of the Canada Pension Plan Investment Board’s (CPPIB) stakeholder team Wednesday.” Read more. …and this from The Guardian from October. Watch this YouTube video with Charlie Angus questioning Bill Morneau in October, on CPP investments in privatized immigrant detention centres. “As most of the Western world moves away from large-scale hydro projects, decommissioning dams across the planet, Canada is digging in with a trio of projects, the costs of which are spiralling out of control…The lesser known Keeyask dam joins B.C.’s Site C dam and Labrador’s Muskrat Falls dam on the list of hugely over budget big hydro projects currently under construction in Canada… Laliberte said the global energy market has changed far faster than Canada’s politicians realized, as the price of wind and solar energy plummets, new energy storage options become available and the cost of building large hydro dams soars, in part because of hefty payouts to affected Indigenous communities.” Read more. “The spill cannot be contained or cleaned up until waves subside.” Read more. 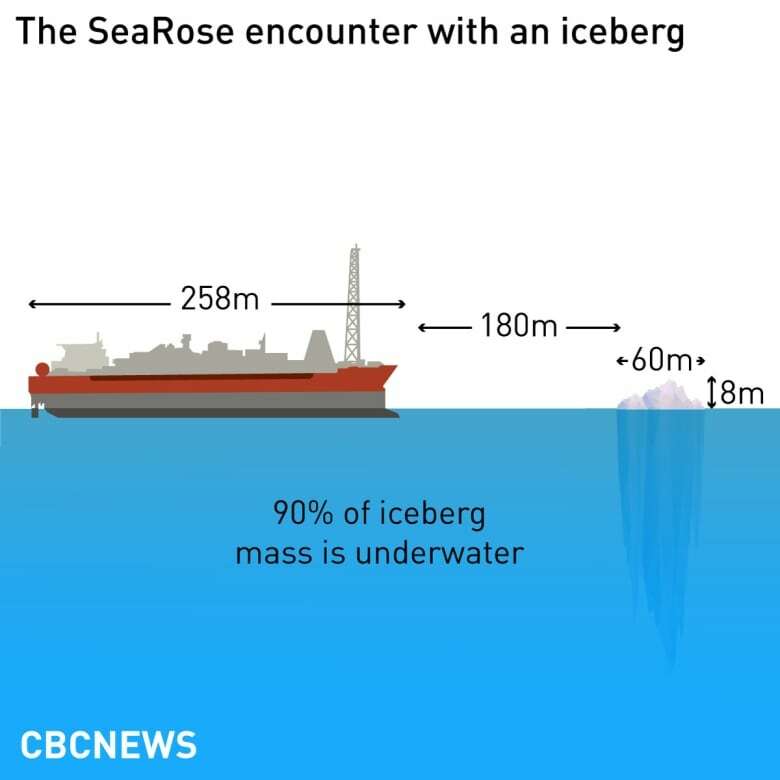 “Husky Energy decided for financial reasons not to disconnect the SeaRose floating production, storage and offloading vessel (FPSO) when an iceberg drifted too close to it last March, according to records obtained by CBC News.” Read more. 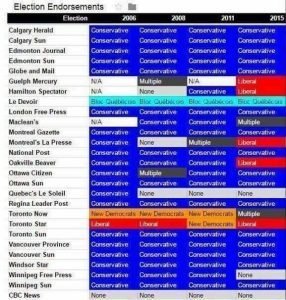 “Conservative Leader Andrew Scheer needs two things to close the polling gap on the Liberals: more swing voters moving back to the Conservatives and more centre-left voters drifting to the NDP.” Read more. The importance of listening. Get a dose of positive politics with Guillaume Liegey, the organizer behind French President Emmanuel Macron’s innovative campaign strategy, who shares his insights into improving politicians’ ground games in this recording of The House. It’s part of Oceans Action Week. Sign up here. “The security of a nation depends first and foremost on its ability to feed itself.” Read more. “It is, admittedly, a ridiculous question. Fountain pens are, themselves, kind of ridiculous – at least as measured by how quick people are to hurl ridicule upon them. Yet, in an age when the ecologically conscious are supposed to be reducing, reusing and recycling, the fountain pen is the perfectly green alternative to firing a spent BIC into the trash every three or four days (unless you lose it or someone lifts it first).” Read more. “Protesters with the environmental group Sunrise marched on Democratic leader Nancy Pelosi’s office on Tuesday. The group, made up of young people pushing for urgent action on climate change, planned to send a clear message to party leadership just one week after Democrats regained control of the House. But this was no ordinary protest for the Sunrise activists, who typically stand on the opposite side of politicians. This time, they were joined by Rep.-elect Alexandria Ocasio-Cortez, who is just weeks away from being sworn into office.” Read more. “They’ve been inspired by 15-year-old Greta Thunberg, a Swedish student who has been sitting outside the parliament in central Stockholm to draw attention to the fears younger generations hold about the global climate crisis and the failure of countries to take urgent action.” Read more. “Eco activists gathered in their thousands over the weekend to shut down five of central London’s busiest bridges. Crowds of people from across the UK occupied bridges at Southwark, Blackfriars, Waterloo, Westminster and Lambeth for Rebellion Day. Making national press, over 100 “conscientious protectors” were arrested in the name of climate change activism. Contingents – which included everyone from teenagers and young families to pensioners – arrived with banners, flags, musical instruments and sound systems, determined to make some noise and, for many, risk arrest in order to highlight the UK government’s damning inaction on climate change.” Read more. “For nearly two decades, the Canadian conservation group Canopy has been consulting with businesses to create, in its own words, “sustainable supply chains and foster innovative solutions to environmental challenges.” Canopy recently created ForestMapper, an interactive tool that allows you to see changes in tree cover as well as the animal species found in these parts. The map below highlights the oldest and most vulnerable forests around the world.” See the interactive maps here. “China, Russia and Canada’s current climate policies would drive the world above a catastrophic 5C of warming by the end of the century, according to a study that ranks the climate goals of different countries. The study, published on Friday in the journal Nature Communications, assesses the relationship between each nation’s ambition to cut emissions and the temperature rise that would result if the world followed their example.” Read more. Related to this story is this website which graphically shows how much global warming each country’s pledge is leading to. Holding your mouse over each country tells you what temperature the policies are leading to, if continued as they are currently. The Paris Equity Check looks at five criteria to see how fair countries’ climate pledges are. The criteria are indicated as the stars at the bottom of the screen. “I think projects like this are necessary, but it scares me that projects like this are necessary.” That’s a quote from Jonathan Cybulski, a paleoecologist and marine biologist interviewed for this week’s feature. He’s referring to a project to breed supercorals able to withstand rapidly changing oceans. Before that work can begin, scientists must bring life back to a simulated ocean where the experiments will take place. It’s a fascinating story—how do you replicate an ocean?—and I think you’ll find the work of this highly collaborative scientific team inspiring. Like Cybulski, they all probably wish this project wasn’t even necessary, but they soldier on, and the world’s coral reefs may one day thank them for it. Read more. If you don’t yet know about Hakai Magazine, check it out. Hakai Magazine explores science, society, and the environment from a coastal perspective. The magazine is funded by the Tula Foundation, which also funds the Hakai Institute, but remains editorially independent. Hakai Institute conducts long-term scientific research at remote locations on the coastal margin of British Columbia, including an observatory on Quadra Island.